I am writing to you from the teeny balcony of a 16th Century Venetian Home located in the old town of Chania overlooking the harbour. WOW just doesn’t do it justice! We have been touring Crete by car today after a dreamy few days on Santorini. Plenty of stories there, but I just had to share my visit to a small cheese maker near a very old and traditional village called Sami. It all started with a split decision to follow a sign that said winery, yes, I know no great surprise there. 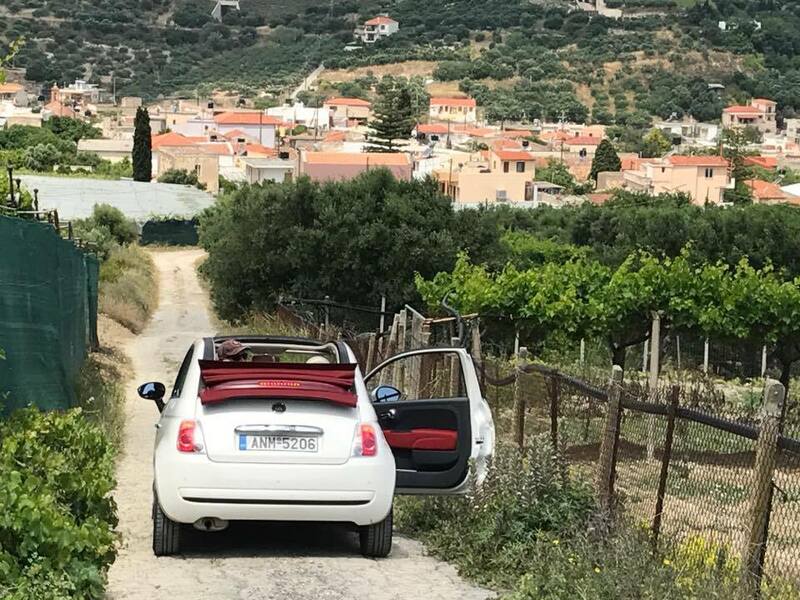 We had to manoeuvre our way through some extremely narrow roads, at one point Simon thought we should give up but we persevered up broken cobble lanes and then a few rutted dirt tracks through olive groves and finally vineyards. When we pulled up Yannis (apparently the John of Greek Names) met us warmly and took us on a tour of his small bio-dynamic/organic winery and olive production. He is the 4th generation to take the helm of the family run property. 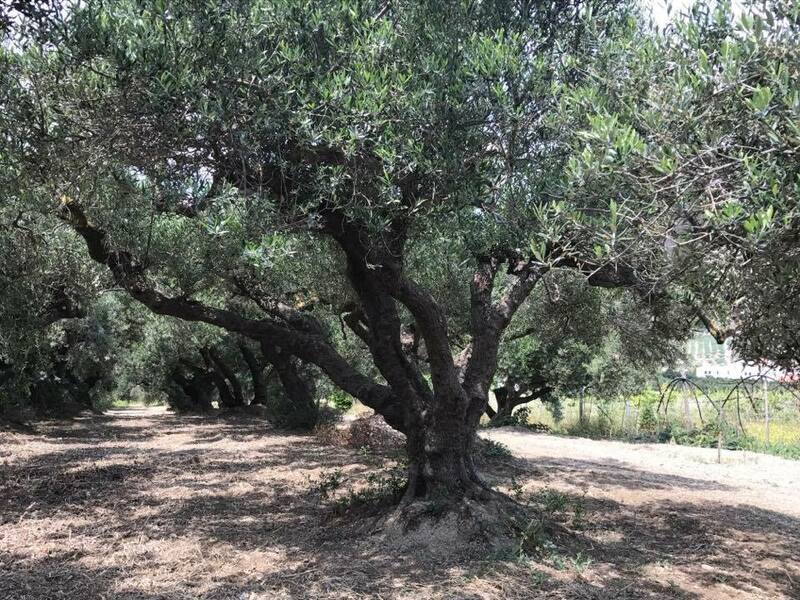 His Great Grandfather established the vineyards and olive grove in 1922, currently producing four delicious wines as well as olive oil which was absolutely amazing. 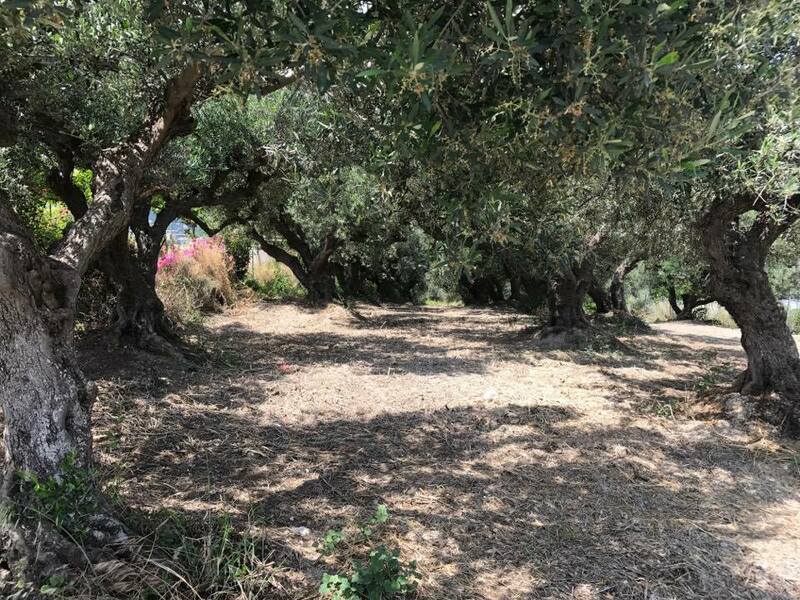 The olives are picked by hand using a stick to dislodge them rather than machine Yannis explained this is more gentle on the fruit and therefore minimises the chance of undesirable flavours. He has a stainless steel tank of oil which he told us to stick our noses in, I was instantly struck with hypnotic smells of strong fruit and fresh cut grass. After touring his cellars and tasting a bit of wine (all in the name of education of course! ), we had the chance to taste the oil and were not disappointed, just a beautiful example of single origin extra virgin olive oil. Words can only go so far, so I have purchased some and will have it in the deli for all to taste. Unfortunately he does not export or I would be stocking it! Now, back to the cheese. I asked Yannis for a recommendation on where I could taste traditional local cheese, he kindly directed us to a place about 15 kms away stating it was the best in Crete. As we arrived to Stamatogiorgis we discovered a small cheese making facility with a local goat farmer delivering a few barrels of goats milk. Surely a good tip from Yannis and things looked promising. Unfortunately said farmer spoke no English, he called a lady from the house close by however she also spoke no English. This was going to be interesting, but surprisingly we had some success with sign language, and we were away. Compulsory shots of Raki followed, paired with knee buckling Cretan cheese. Unfortunately sign language didn't really help with the cheese names, and the wheels were unmarked. We firstly tried a semi-hard Graviera similar to the one we had tried in Athens, strong, herbaceous with a slightly nutty finish. Another that was aged, very hard from large wheels, the texture was somewhere between Pecorino and Sbrinz, the flavour was unique, again quite herbaceous and grassy, likely related to the nearby goat herds which graze the lush hillsides and mountains. Finally we tried a small wheel which was matured with local herbs which we we could see s hanging and drying all around the place which they forage by hand from the surrounding hillsides. We bought a few pieces to have with some local bread picked up along the way. What a great experience! Tomorrow we are starting the day following the footsteps of the famous American Chef and now travel writer, Anthony Bourdain, kicking off with the amazing bourgatsa for breakfast. For those of you who, like me are fans of his show No Reservations, Tony is taken to this local artisan baker who has been making the Cretan speciality for years – more on that later, I can't wait!